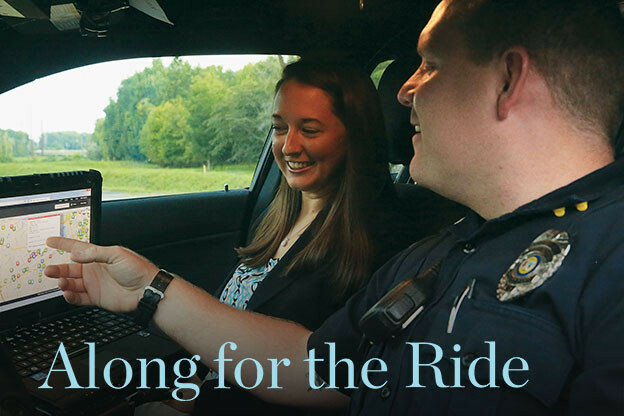 Law students ride with police officers to get an up-close look at the law in action. front page news, keeping police departments across America under intense public scrutiny. Professor Seth Stoughton understands that scrutiny better than most: He spent five years on uniformed patrol as an officer in Tallahassee, Florida. And although he speaks and writes about ways to improve modern policing, he also understands the many pressures that law enforcement officers face. It has never been more important, he believes, to have future lawyers experience a “day-in-the-life” of officers; to better understand their mindset as they interact with suspects, and to consider the legal implications of those interactions. That is why he requires his criminal procedure students to take a police ride-along. Dillon McDougald, a third-year student, joined Sgt. Marion Boyce of the West Columbia Police Department on an afternoon shift. Although the experience was relatively quiet (a routine traffic stop and loitering incident), it gave McDougald a chance to talk with Boyce in depth about how patrols work, how police use the RAIDS database, body cameras, active shooter situations and the militarization of police. 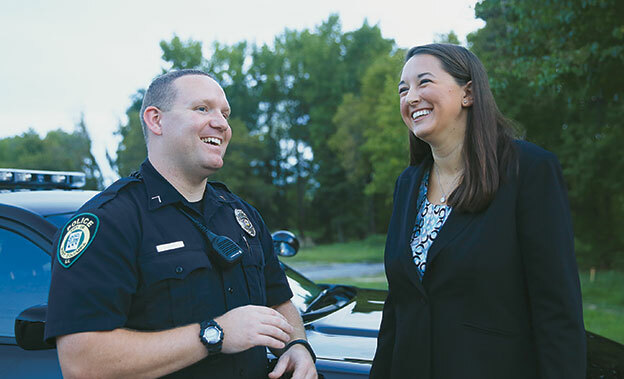 Chelsea Stewart and West Columbia police officer Shawn Ludgwig reflect on their ride-along. Ludwig of the West Columbia Police Department. offi cers. I had an adrenaline rush the entire time and even after I left that night,” she said.